It's happening right now in various carrier stores, people are comparing the Galaxy S6 to the iPhone 6. It's not going to stop anytime soon. 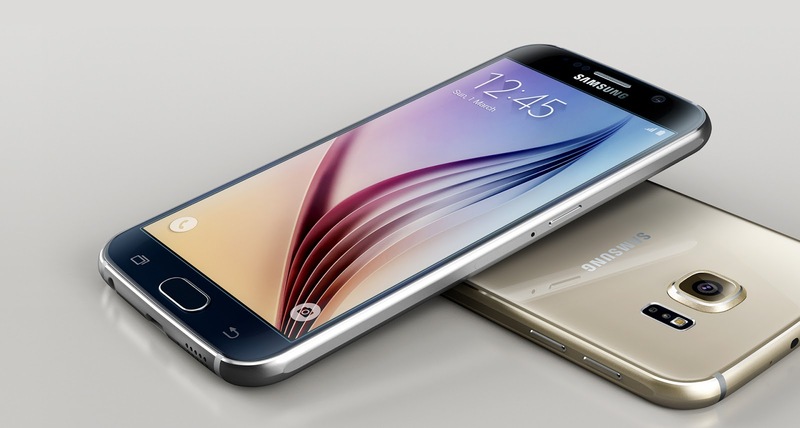 Here's what you need to know about the Samsung Galaxy S6. The S6's 2560x1440 Quad HD screen provides a dense 490ppi, while some may say that iPhone 6 is better, the iPhone 6 in reality provides a less impressive 326ppi on it's 1334x750 screen. The Galaxy S6 features a 16MP camera with a f/1.9 aperture and OIS capable of keeping the shutter open without shaking or blurring up, while the iPhone 6 only features an 8MP without OIS support and only a f/2.2 aperture. I'm pretty sure that by any standard anyone can figure out which one provides the best pictures. You're out and about and you're interested to capture some stunning moments, wouldn't you rather record it in 4K or 1080P? With the 4K recording that the S6 provides, you'll capture these moments with lifelike realism. You may be somewhat like me where I need to remember where the remote for the TV is. In most cases I never remember and or the batteries are dead. There's no requirement for any third party software as this comes native to the S6. Sure the iPhone 6 can charge wirelessly as well, but it requires a case. The advantage of the S6 is that this is already included within the body of the device. Granted, Apple has made lots of improvements on the iPhone 6 when it comes to charging it. A solid 2 hours will yield you 90% battery, but compared to the S6 which can go from 0 to 100 in 80 minutes? Yeah, you've figured it out. Private mode in Android Lollipop is available to every Android user and it isn't limited just to the S6. This allows you to hide anything more securely. The iPhone 6 does have a similar feature where it hides the information, but the files and content can still be viewed. In the USA 90% of retailers accept payments via Samsungs-owned LoopPay, but in Canada those numbers are much lower. IPhone, Apple pay is only available at a rate of nearly only 3% and has about only 107 cards to work with. If you take a look at the LoopPay system they do have access to nearly 1000 different types of cards. This is your smartphone, you should be able to do with it what you want. Make it look like whatever you think you want. There's so many themes, options, widgets, home screens etc. There's almost no limit to the things you can change on your device. It is true that the iPhone 6 does have widgets now, but they aren't as interactive as the widgets you have on Android. They appear to be place holder more than anything else. There's a really neat feature in samsung and it's the ability to run with multiple windows on your devices. This avoids the switching of apps constantly when trying to provide information to people as you can just run what you need directly on the screen. Multiple apps at the same time. Samsung included this feature starting in the Galaxy S3, 3 Galaxy generations ago! Where's was Apple when all of that started? Makes you wonder who's actually been doing the innovation that we hear coming from Apple.